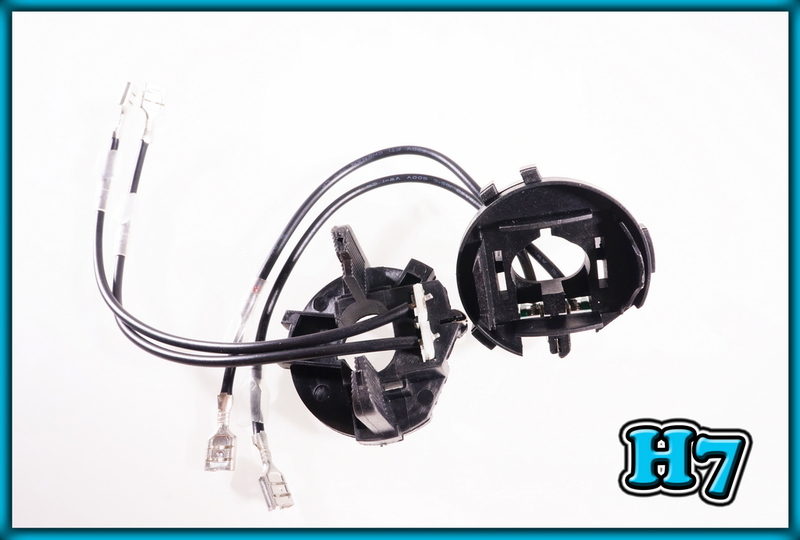 Product information "VW Transporter / Caravelle (T5) 10-15 H7 HID Xenon Headlight Bulb Adapters Holders"
These H7 HID Xenon bulb holder adapters will allow you to install the aftermarket HID Xenon Conversion Kit. Most of car manufacturers release their cars into the market with couple or more types of headlights, usually called "HALOGEN" and "Xenon/Bi-Xenon". Some of halogen headlights and foglights come with H7 bulbs and specific bulb holders with a plug. 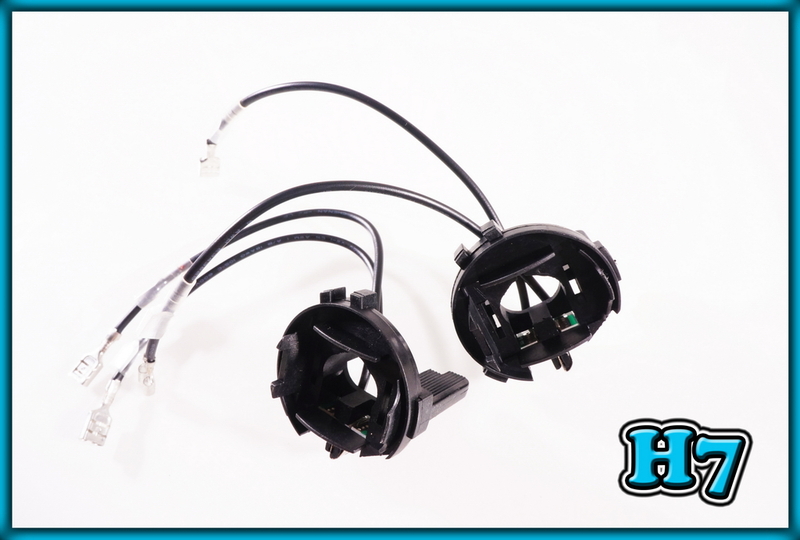 In order to install H7 HID Xenon bulbs you need to change these OEM bulb holders to ones we offer here. 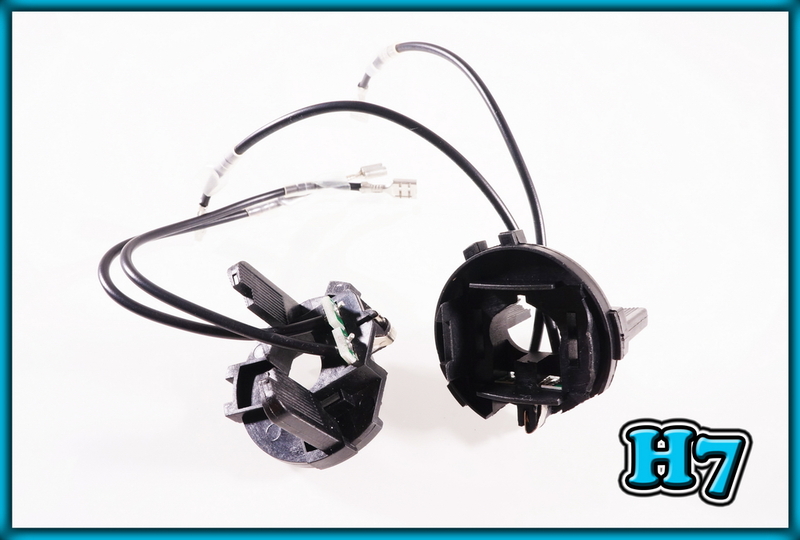 This type of H7 conversion adapter will allow you to place any aftermarket H7 HID Xenon bulb firmly and quickly on original headlamp housing without destroying the original bulb holder. So you can always go back to OEM style bulb setup later. If you are unsure whether this product is compatible with your vehicle, just pop up the hood and compare this product with the stock headlamp bulb holder. Related links to "VW Transporter / Caravelle (T5) 10-15 H7 HID Xenon Headlight Bulb Adapters Holders"
Customer evaluation for "VW Transporter / Caravelle (T5) 10-15 H7 HID Xenon Headlight Bulb Adapters Holders"